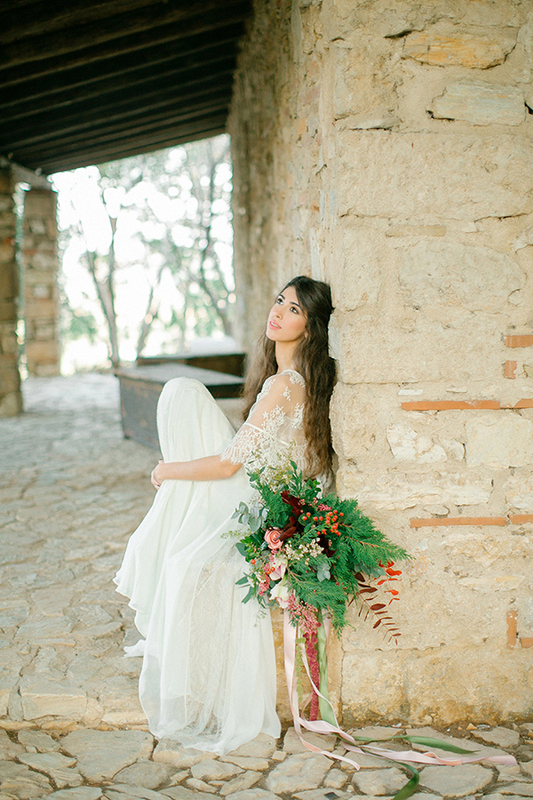 I could not be more thrilled to share with you today the photoshoot we coordinated at the Nasioutzik Museum with an AMAZING team of wedding professionals. 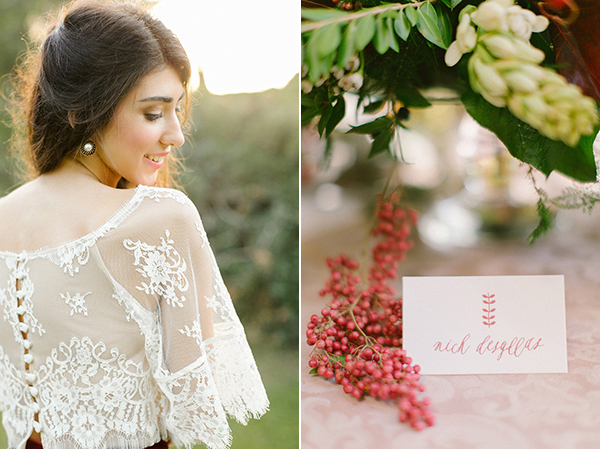 A gorgeous photo shoot that was also recently featured on Style Me Pretty! 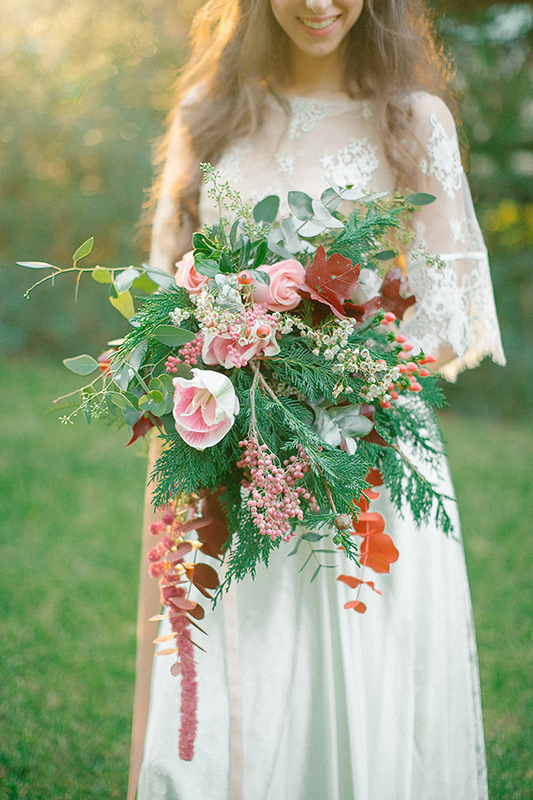 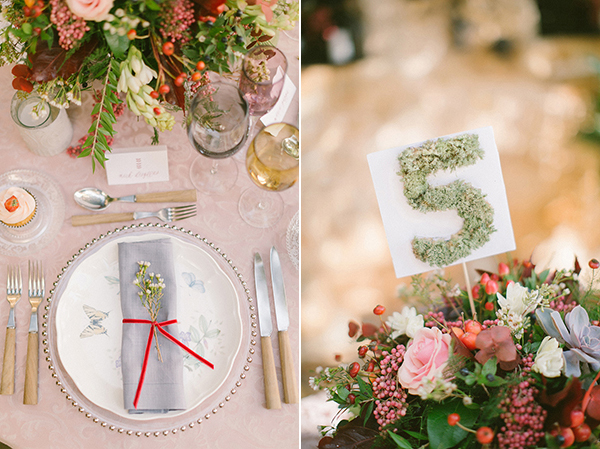 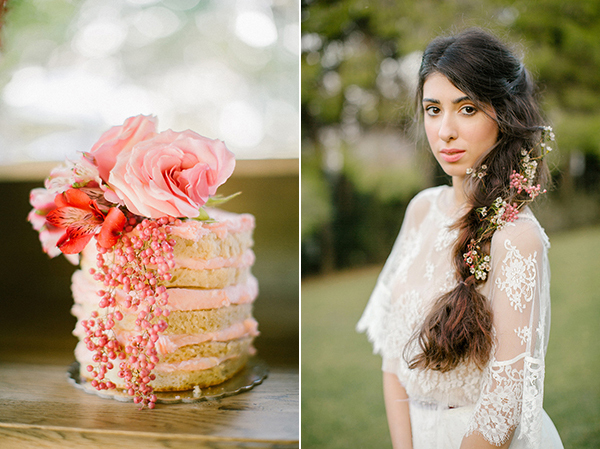 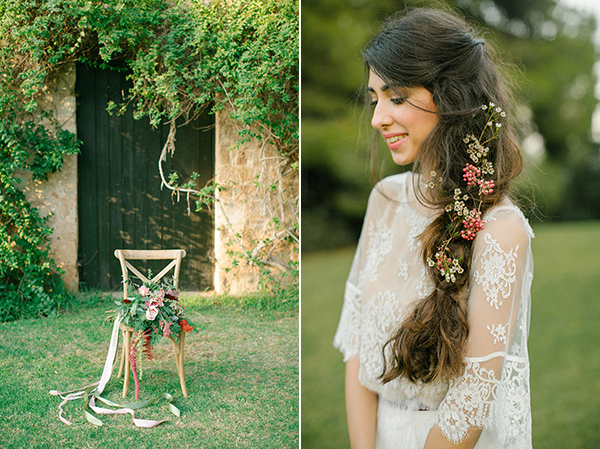 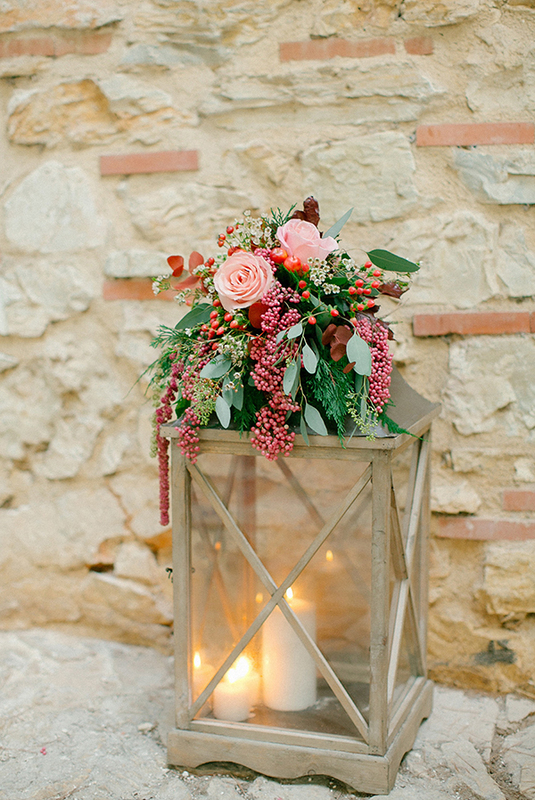 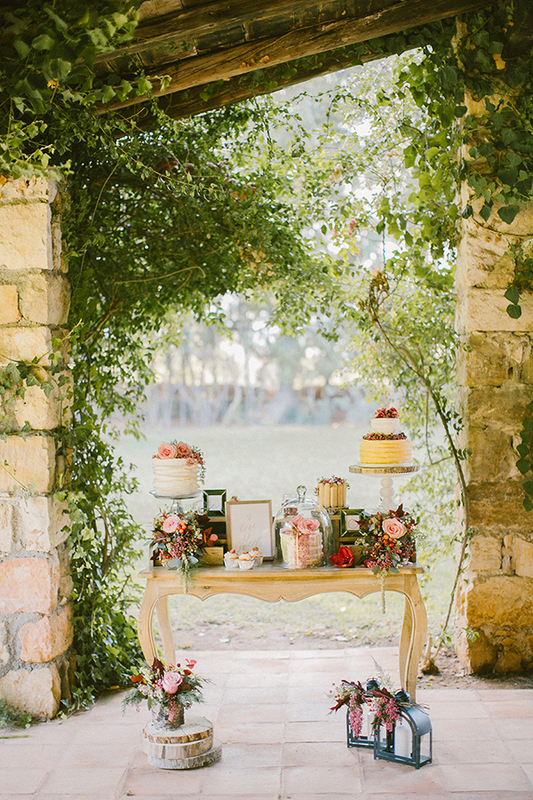 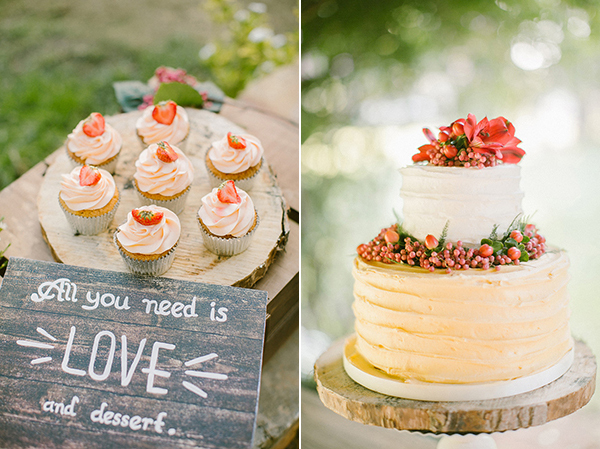 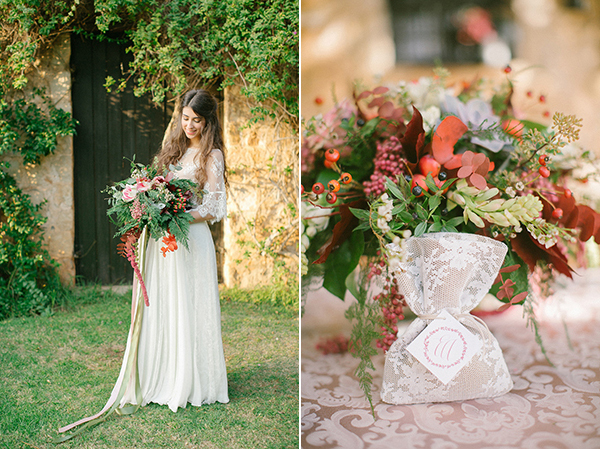 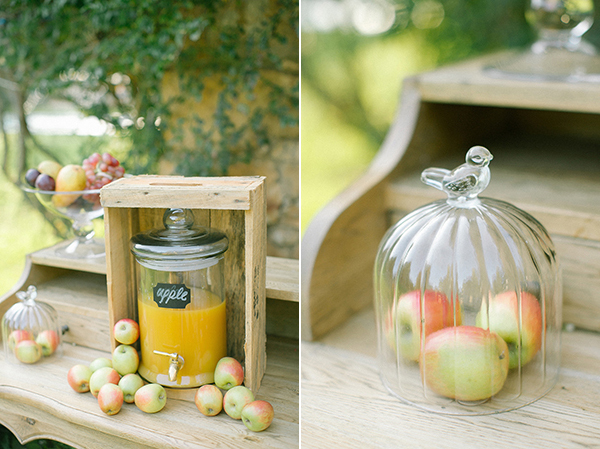 The take-your-breath-away details were brilliantly captured by photographer Anna Roussos. 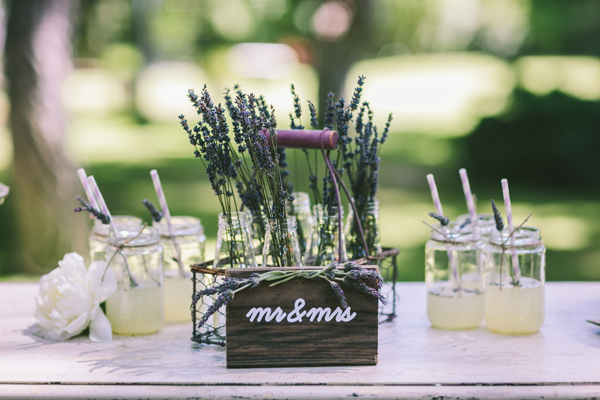 Wedding planner Anna Sourbati from The Event Company, as you will soon see, transformed the location into a dream come true setting for every bride. 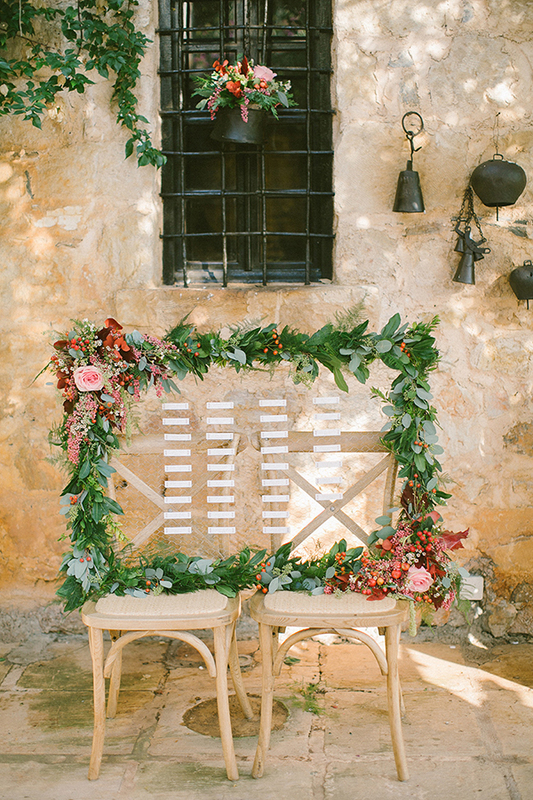 With decorative details in marsala, the 2015 Pantone color of the year, she truly enhanced the rustic feel of the beautiful venue. 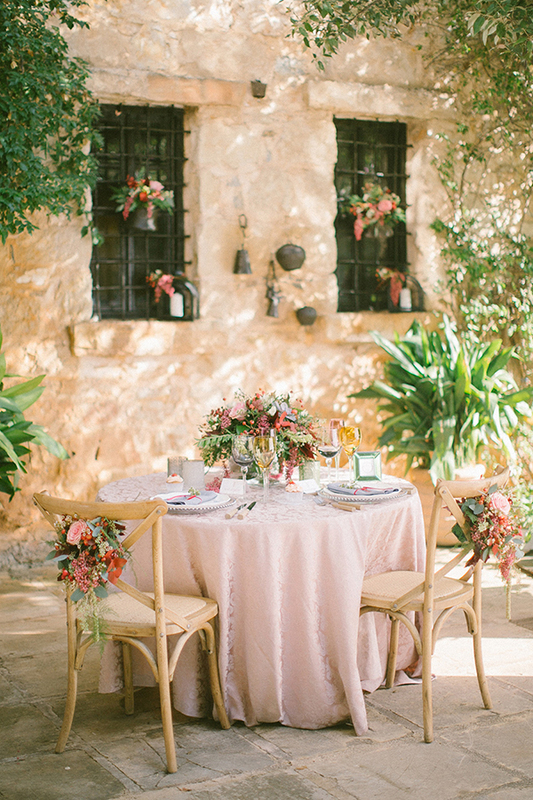 For the lush floral decorations, a variety of gorgeous flowers were incorporated such as blush roses, vivid red alstroemeria and delicate white hyacinths. 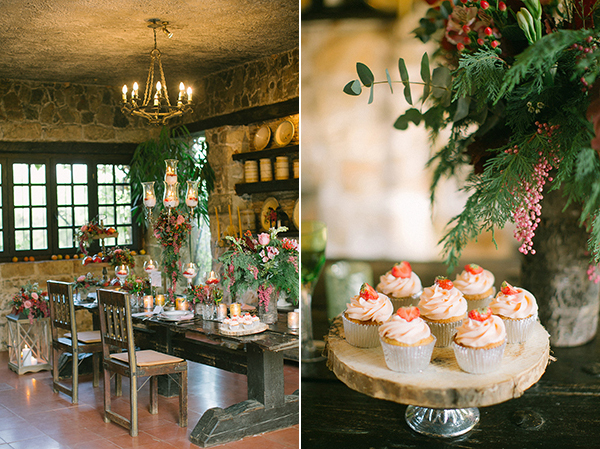 A special colorful touch was added to the floral decorations with the burgundy fall leaves and the red eucalyptus leaves. 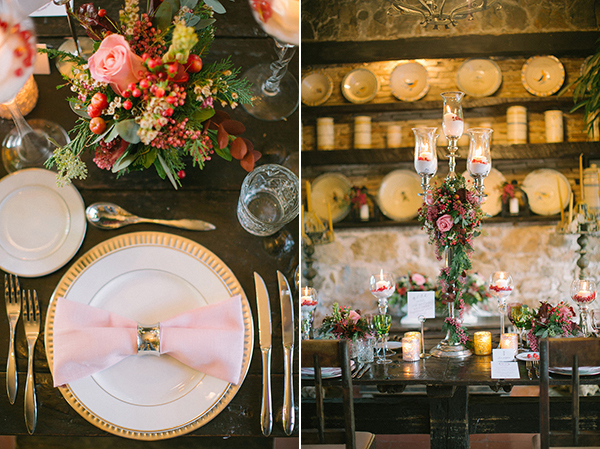 Grey linens and dusty rose colored lines were used to dress the rustic wooden table and the fresh fruit added texture and pops of color to the table scape. 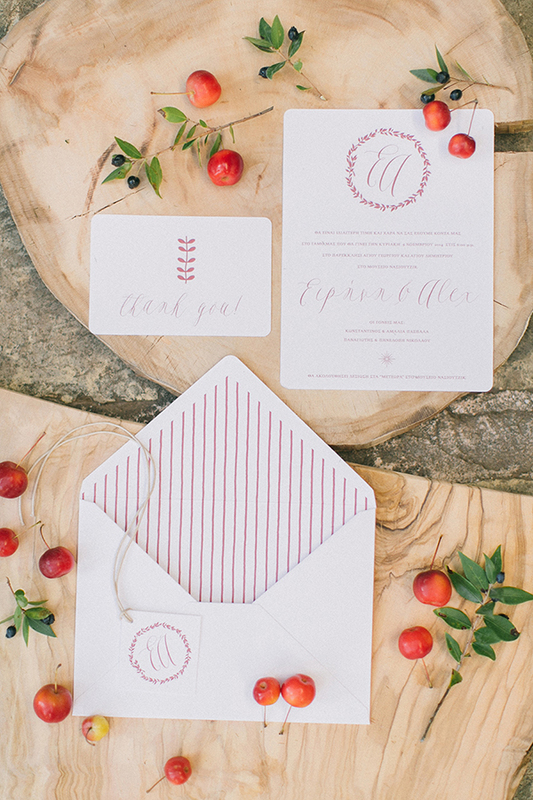 The discreet touches of marsala color in the beautiful wedding stationery by Atelier Invitations added just the right amount of winter to the boho chic style. 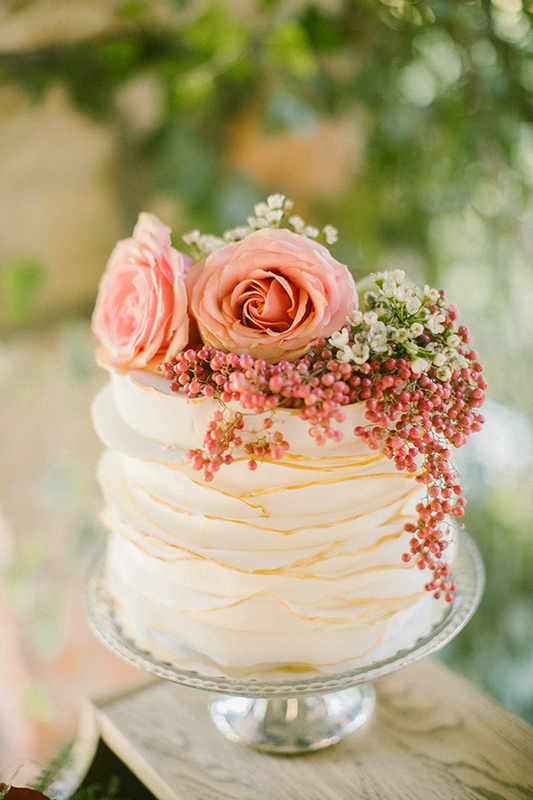 One of my favorite details was the naked cake decorated with blush pink roses! 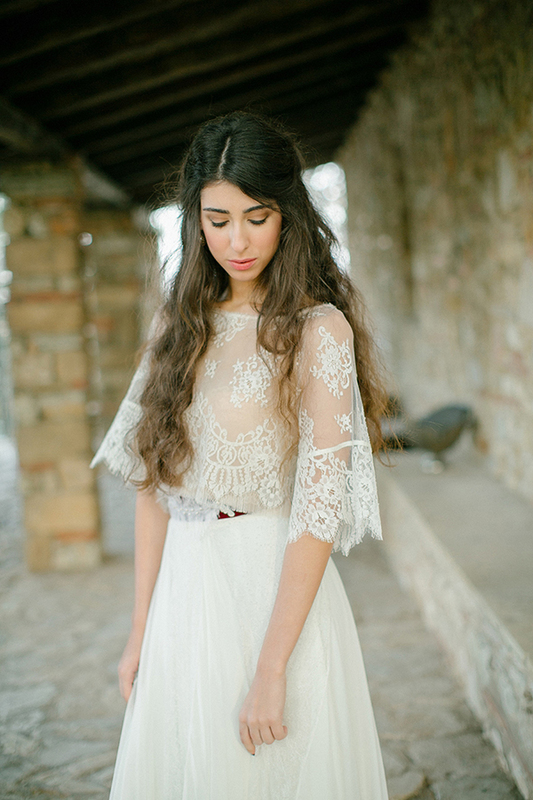 The marsala wedding inspirational shoot with the boho chic details was completed with the Katia Delatola two-piece wedding dress . 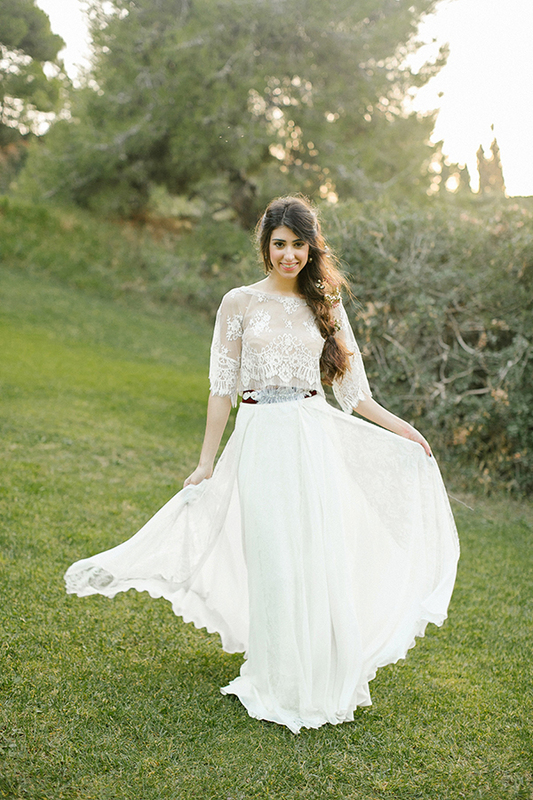 Inspired by Ancient Greece, the swoon-worthy winter wedding dress was made from silk muslin and French Chantilly lace. 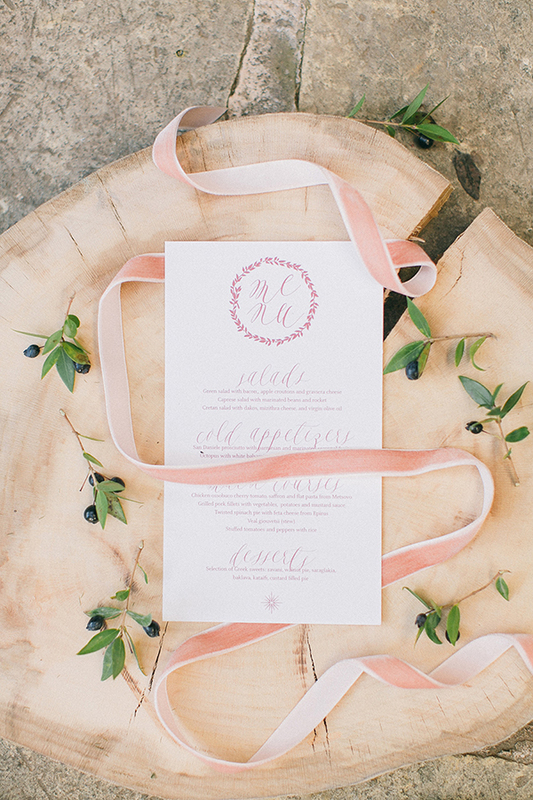 The marsala color belt added the perfect color antithesis. 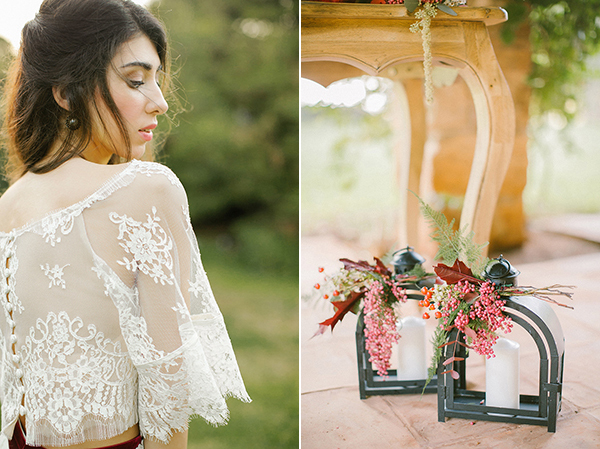 Our goal and the idea behind the marsala wedding inspiration shoot was to create a heavenly winter wedding setting that would also have brides consider planning their wedding during the autumn or winter months! 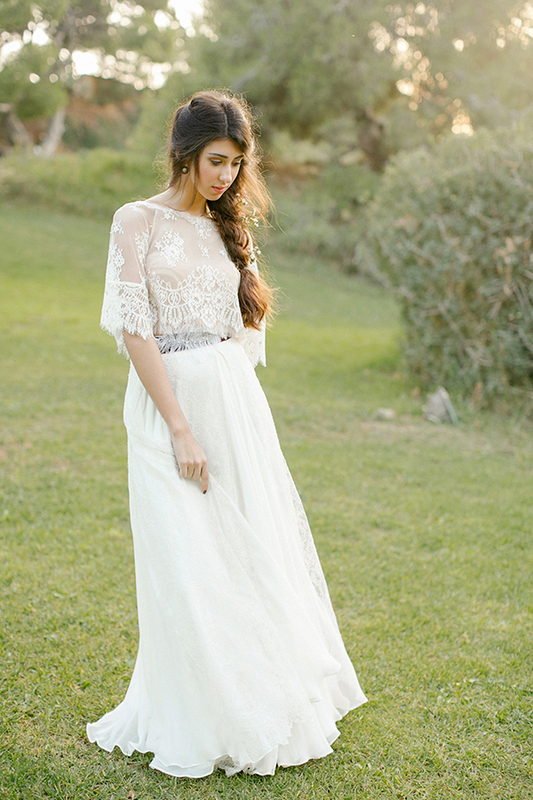 The photoshoot was a great experience and I am so thankful to have worked side by side with such talented individuals. 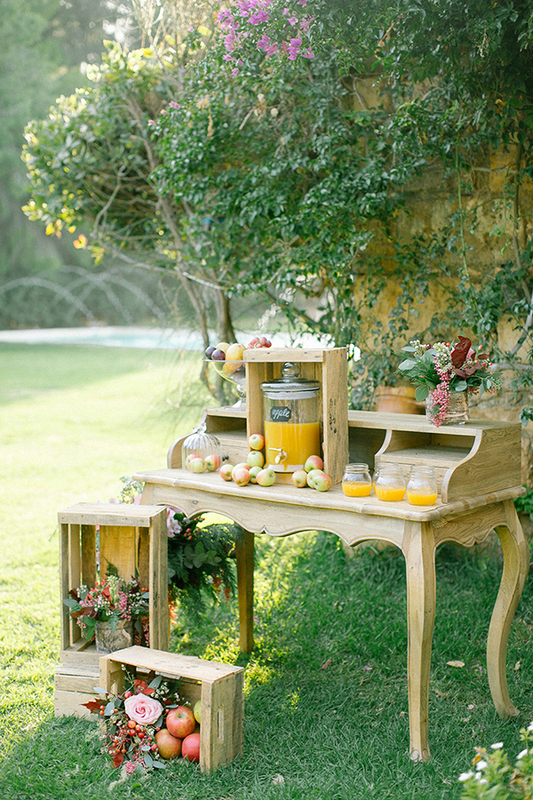 Zazoo Event Rentals are on Chic & Stylish Selected Vendors. 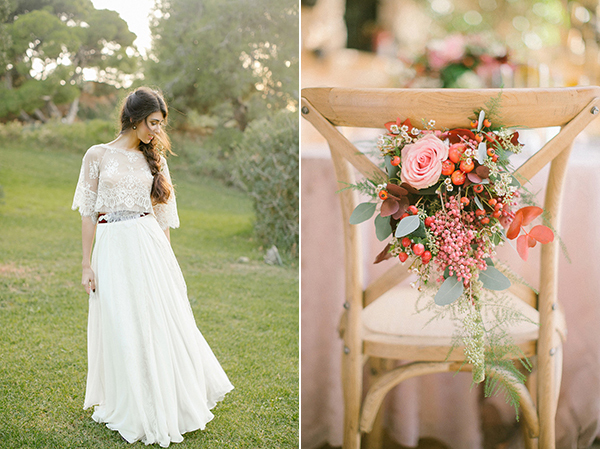 Such a stunning shoot and I love how this marsala based colour palette works so perfectly for a sunshiny destination day.